CANDIDATES WITH EXPERIENCE in construction and healthcare are being sought by New Zealand recruiters as part of a recruitment drive in Dublin this afternoon. Organisers say there’s still a huge focus on the rebuild of Christchurch following the 2011 earthquake, and today’s expo is focusing in particular on the skills shortage in engineering, construction, healthcare and in the generation and distribution of electricity. As well as employers, migration planners are also on hand at the event at the Hilton Hotel providing information on visa requirements. Unfortunately with Ireland’s unemployment rate at 13.7% for the first quarter in 2013, the search for talent is no longer confined to New Zealand alone and Ireland is seen as a prime location. The number of Irish people moving to Christchurch on skilled work visas doubled in the wake of the earthquake two years ago. 223 made the journey in the 12 months up to July 2012, compared to 111 in the previous year-long period. In the nine months up to April 2013, 373 Irish people had relocated to the city on skilled work visas. Email “Jobs expo targets skilled Irish workers to help with Christchurch rebuild ”. 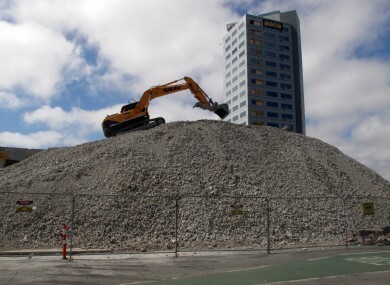 Feedback on “Jobs expo targets skilled Irish workers to help with Christchurch rebuild ”.